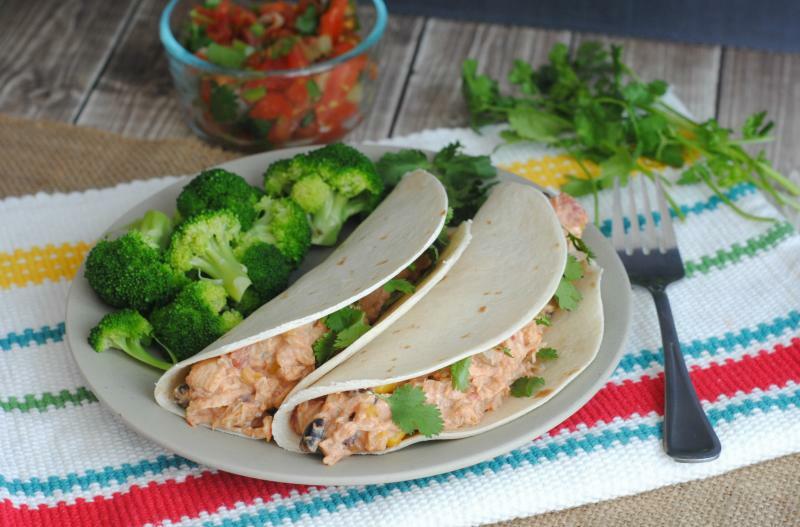 This chicken has so much flavor and the added bonus is to wrap it up in a tortilla! Open, drain and rinse the black beans. Open and drain the corn. Place the chicken breasts in the base of the slow cooker and pour the black beans, corn, salsa, garlic powder and ground cumin over the top. Set on low and cook for 8 hours. With 30 minutes, left in the cooking cycle, shred the chicken with forks and stir the cream cheese into the sauce. Cook for 30 more minutes to allow sauce to thicken. Stir again before serving. Season with salt and pepper to taste. 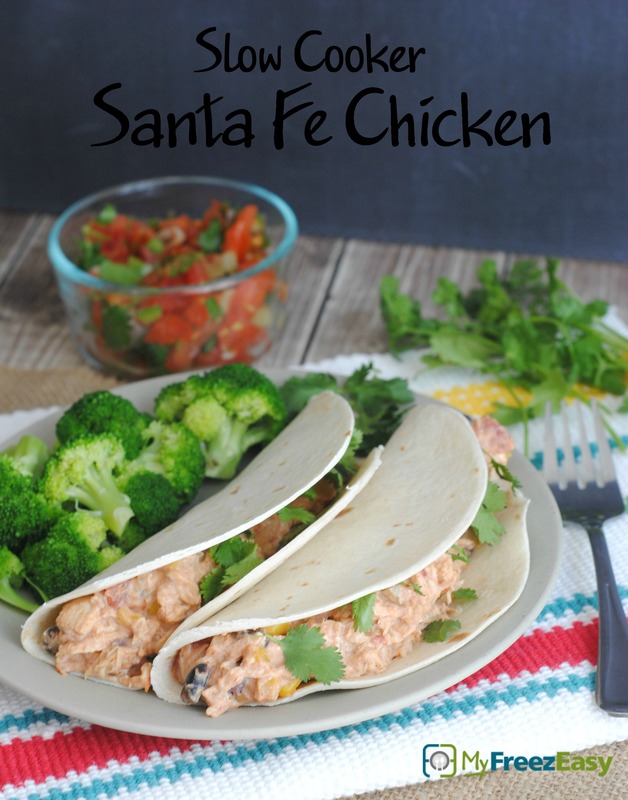 Serve Slow Cooker Santa Fe Chicken in tortillas with cilantro garnish and side of veggies. Open and drain 2 cans of corn. Open, drain and rinse 2 cans of black beans. Do NOT add the cream cheese before freezing. Put baggie in the freezer and freeze up to 6 months in fridge freezer or 12 months in a deep freezer. Thaw in the fridge overnight, or a warm bowl of water for about 20 minutes, before transferring to the slow cooker and cooking on low for 8 hours. Stir in the cream cheese and shred the chicken with 30 minutes left in the cooking cycle. Recipe is dairy-free when served without the cream cheese. Recipe is gluten-free if you serve over rice or in corn tortillas. Thaw and slow cook on low for 8 hours. With 30 minutes remaining in cooking cycle, stir in the cream cheese to thicken sauce. Serve with cilantro garnish, in tortillas with veggies.